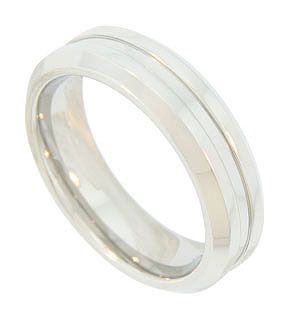 Stepped grooves give this men’s wedding band an angular, geometric look. 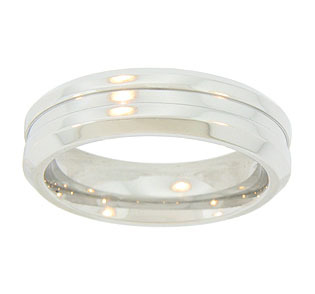 The wedding ring measures 6.21 mm in width. Size: 8 3/4. Cannot be re-sized, but we can reorder the ring in any size and in white gold, yellow gold, platinum or palladium. Price will vary depending on metal and size.